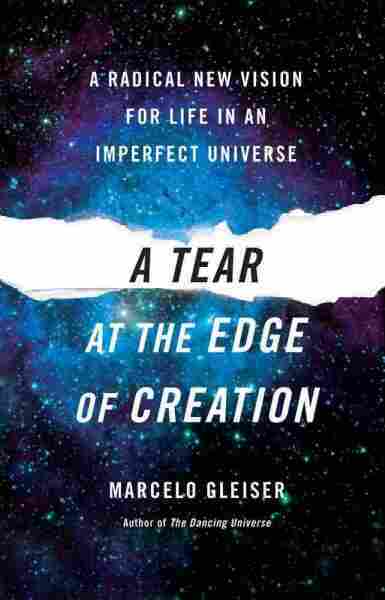 A Tear at the Edge of Creation NPR coverage of A Tear at the Edge of Creation: A Radical New Vision for Life in an Imperfect Universe by Marcelo Gleiser. News, author interviews, critics' picks and more. A physics and philosophy professor challenges modern beliefs about the definable nature of the cosmos, arguing that all things exist because of random imperfections, primordial asymmetries and outright accidents, in a report that also cites the importance of caring for the planet. There were no witnesses to what was about to happen. ?Happen? didn?t yet exist. Reality was timeless. Space also didn?t exist. The distance between two points was immeasurable. The points themselves could be anywhere, hovering and bouncing. Infinity tangled into itself. There was no here and now. Only Being. Suddenly, a trembling, a vibration, an ordering began. Like roiling waves, space shuddered and swelled. What was near became far. What was now became past. As space and time were born, change began to happen: from Being to Becoming. Space bubbled; time unfurled. Soon, matter coalesced from the joint heaving of space and time, seeping out of its pores. This was no mundane substance: nothing like us; nothing like atoms. This matter stretched space, made it inflate like a swelling balloon. This balloon became our Universe. This is the creation story of our generation. The Holy Trinity here is Space, Time, and Matter. There is no Creator, no divine hand to guide the unfolding of the cosmos from Being to Becoming, from a timeless to an evolving state. The Universe happened on its own, a bubble of space that burst into existence from a sea of nothingness: creatio ex nihilo, creation out of nothing. That?s hard for us to fathom, as everything that we see happening seems to have a cause behind it. Should the Universe be any different? Could it really have emerged from nothing? Without a cause? The first link in the long chain of causation from cosmic birth to now, the cause that started it all, is known traditionally as the First Cause. To do its job?trigger creation?it must necessarily be uncaused. The challenge, of course, is how to implement this mysterious, common-sense-violating, uncaused First Cause. Is science up to the task? Religions mostly use gods to bypass the creation dilemma. That works well for them, since physical laws and common sense don?t apply to gods. Being immortal, they are indifferent to causation: they exist, supernaturally, beyond time. In the book of Genesis, all-powerful, eternal God manipulated ?nothingness? with words, and there was light. For Jewish, Christian, and Muslim believers, He is the First Cause. All comes from Him, and He comes from nothing. It then follows that since He is perfect, what He creates must be perfect, too. Until, that is, Adam and Eve ate from the Tree of Knowledge and changed everything: curiosity and desire expelled us from Paradise, made us less than godly. Since then, as mere mortals, we?ve been aching to reconnect with what we?ve lost, to become one with God?s perfect creation. This noble-sounding quest has led us astray for too long. We need a fresh start. According to some modern theories concerned with the origin of space, time, and matter, there exists a quantum nothingness, a bubbly foam of prototype universes called the ?multiverse? or the ?megaverse.? A few current theories state that the multiverse is eternal and hence uncaused. Occasionally, from the cosmic froth bubbles of space spring forth?baby universes. Some grow, while most shrink back to the nothingness whence they came. A clever interplay between gravity and matter allows baby universes to be born with zero energy cost: creation out of nothing. Time starts ticking when a bubble bursts into existence and begins to evolve, that is, when there is change to be accounted for. Multiverse theories propose that we live in one of these growing bubbles, one that emerged as randomly as a particle that is shot out of a radioactive atomic nucleus. Our bubble, our Universe with a capital U (to differentiate the portion of the universe we can actually measure from either hypothetical model universes or portions of the universe beyond our current measurements), has the apparently rare distinction of having existed long enough for galaxies, stars, and people to emerge: we result from the random birth of a highly improbable long-lived cosmos that has grown complex enough to spawn creatures capable of pondering their origins. This is a far cry from the premeditated supernatural creation portrayed in Genesis. But does it fully address the question of how everything came to be? Clever as this scientific version of creation is in its attempt to do away with the First Cause, it still must be formulated according to accepted physical principles and laws: energy must be conserved; the speed of light and other fundamental constants of Nature must have the right values to ensure the viability of our Universe. Furthermore, a quantum nothingness, with its bubbly soup of prototype universes, is not quite what we would call the absence of everything. The point is, we humans cannot create something out of nothing. We need the materials; we need the joining rules. This limitation of ours is clearest when we try to make sense of the first of all creations, that of the Universe. Do not let claims to the contrary fool you, even if they involve awe-inspiring terms like quantum vacuum decay, string landscape, extra-dimensional space-time, or multi-brane collision: we are far from having a convincing, empirically validated (meaning tested or even testable) scientific narrative of creation. Even if, one day, we do devise such a theory, it must always be qualified as a scientific theory of creation, based on a series of assumptions. Science needs a framework, a scaffolding of principles and laws, to operate. It cannot explain everything, because it needs to start with something. This something must be taken for granted. Examples of such starting points are the axioms of mathematical theorems?unproved statements accepted as being self-evident and thus supposedly true?and, in physical theories, a number of laws of Nature, such as energy and electric charge conservation, that often are extrapolated to be valid well beyond their tested range. Seeing how well these laws work for the natural phenomena we can observe and measure, we assume that they held in the extreme environment prevalent near the Big Bang, the event that marked the beginning of time. But we cannot be sure?and scientists should never claim they are?until there is clear experimental confirmation. ?Extraordinary claims need extraordinary evidence,? noted University of California paleontologist J. William Schopf. On the other hand, modern cosmological theories do explain the physical processes that took place very close to the beginning of time, an achievement that is?and should be loudly advertised as?truly amazing. 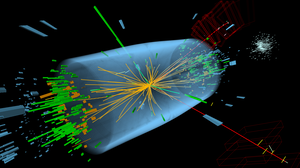 We can now state with confidence that the Universe did spring from a hot and dense soup of elementary particles a little under 14 billion years ago, even though we still don?t know how the spring sprang. 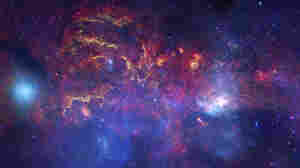 We know that the young, minute-old cosmos forged the lightest chemical elements, and that exploding stars forged?and continue to forge?the heavier ones needed for life. We understand the workings of the genetic code and the mechanism behind the staggering variety of animals and plants on Earth. Barring the existence of other self-aware beings capable of theorizing about life and death, we?imperfect accidents of creation?are how the Universe thinks about itself. To my mind, this is a life-transforming revelation, the substance of this book. Even though we live in no special place in the cosmos and play no starring role in the grand scheme of things, the fact that we carry this banner?alone or not?does make us very special. For this very reason, we must be extra careful. In spite of all our achievements, we will do well to remember that our story is just our story, imperfect and limited as we are; we will do well to remember not to go after absolute truth but after understanding. As Tom Stoppard reminds us in his play Arcadia, it?s not knowing everything, but wanting to know that matters. Wonderful as it is, science is a human construction, a narrative we create to make sense of the world around us. The ?truths? that we obtain, such as Newton?s universal law of gravitation or Einstein?s special theory of relativity, are indeed impressive, but always of limited validity. There is always more to explain beyond the reach of a theory. New scientific revolutions are going to happen. World-views will shift. Yet, vain as we are, we place too much weight on our achievements. Our successes have led us to believe that these partial truths are scattered pieces of a single puzzle, the components of a Final Truth, waiting to be discovered. Great minds of the distant and recent past have devoted decades of their lives in search of this Holy Grail, Nature?s hidden code: Pythagoras, Aristotle, Kepler, Einstein, Planck, Schr?dinger, Heisenberg. The list is long. Thousands more are doing so today. Knowingly or unknowingly, they are heirs to a philosophical tradition rooted in ancient Greece that links perfection and beauty with truth. Over the centuries, this tradition was fused with monotheistic belief: God?s creation was perfect and beautiful. To understand it, to search for immortal truth, became the highest of aspirations. Since the birth of modern science in the early 1600s, a passion akin to religious fervor has led to the widespread conviction that the puzzle can be solved, that we are closer than ever, that Nature?s hidden code will soon be unveiled in all its glory. British physicist Stephen Hawking, as many before him, metaphorically compared the achievement to ?knowing the mind of God.? But is that so? Are we truly getting any closer? Or are we lost, searching for the unattainable? Should we instead be asking why we need to believe so badly in this Final Truth? Should we be asking why we are so convinced that it is there to be discovered? Does the experimental and observational evidence at hand truly point this way? Or is this Final Truth simply the scientific incarnation of the monotheistic tradition of the West, a yearning for a God that reason exorcised from spiritual life? Given that the Final Truth necessarily explains the origin of the Universe, we now see how these two quests are one and the same: the Final Truth contains the First Cause; the First Cause contains the Final Truth. Can we, limited beings that we are, explain creation in all of its astonishing complexity? ?Sure!? exclaim the Unifiers. ?There is a fundamental set of physical laws, writ deep into Nature?s essence, behind all there is. Given time, we will uncover these laws and make sense of it all. Together, these laws are the embodiment of the unified field theory, the supreme expression of the hidden mathematical symmetry of Nature. We call it the Theory of Everything.? ?Sure!? exclaim the Believers. ?We already know all the answers. They are written in our Holy Book. Creation is the work of our all-powerful God. Only a supernatural power could exist before space. Only a supernatural power could be before time. Only a supernatural power could transcend material reality to create it.? Are we limited to these two choices? Is there a third alternative? For millennia, we have lived under the mythic spell of the One. Kneeling at our temples or searching for the mathematical ?mind of God,? we have yearned for a connection with what is beyond the merely human; we have dreamt of an abstract perfection that we could not find in our lives. In doing so, we closed our eyes to ourselves, refusing to accept the fragility of our existence. It is now time to move on. It is now time to shake free of the old imperative for perfection and embrace the lessons of a new scientific worldview that explores the creative power of Nature?s imperfections and accepts that there are limits to knowledge. The journey will be humbling, as we face the smallness of our existence in a vast, indifferent cosmos. And yet, small that we are, our very existence makes us unique. Thinking aggregates of inanimate atoms, we are rare and precious. In a few millennia, we have achieved the power to change the course of our planet?s history and, with it, our own. Humanity is at a crossroads. The decisions we make now will shape our future and that of our planet. It is time to understand that preserving life is what really matters.